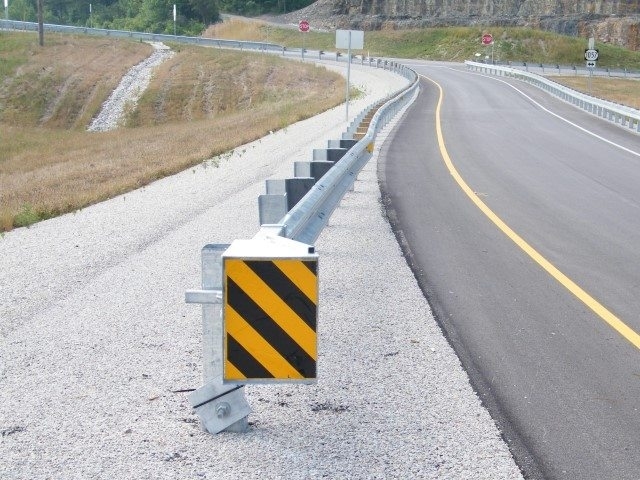 The FLEAT-SP combines the superior performance of an energy absorbing, tangent end terminal with the advantage of a flared terminal in reducing nuisance impacts. 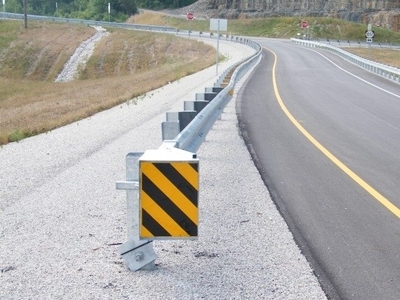 When the FLEAT-SP is struck end-on, the kinetic energy of the impacting vehicle is dissipated as the impact head travels along the W-beam rail and kinking it through the exit chute. When impacted along the side of the terminal, within the length-of-need, the FLEAT-SP safely contains and re-directs the impacting vehicle.